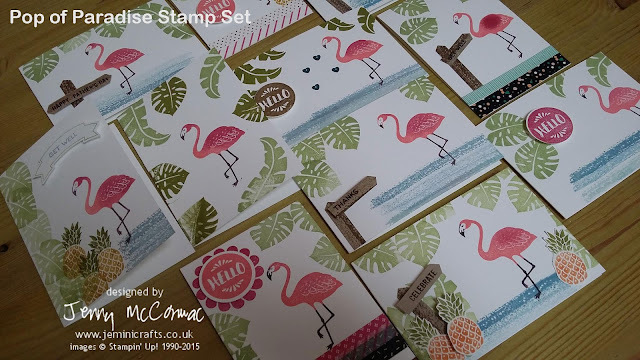 We had great fun at #coffeeandcard today at the Hummingbirds Bistro in Brackley, with the new Pop of Paradise stamp set featuring flamingos and pineapples amongst its fun images. 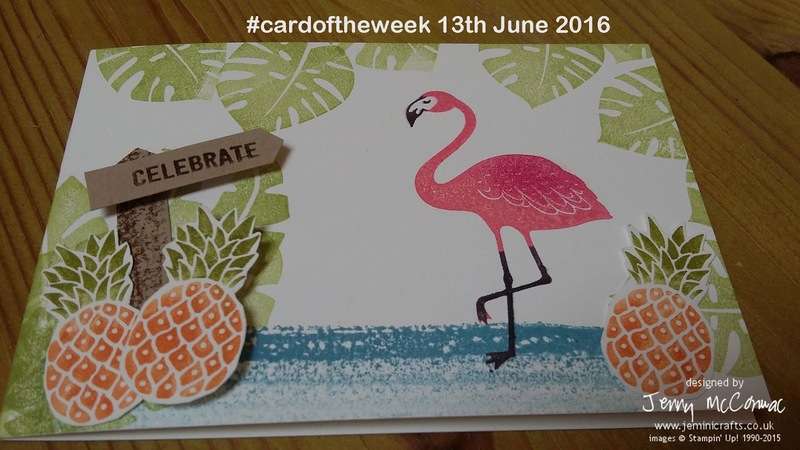 I loved all the cards that the ladies made, and in particular this one below from Elaine Gower. So I decided to follow the #greatbritishsewingbee tradition and named it my #cardoftheweek. Well done Elaine! I am going to have to design a badge for this accolade. 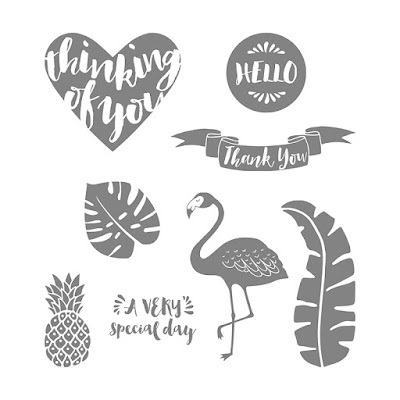 For details of the stamp set we used, feel free to click on the image below.